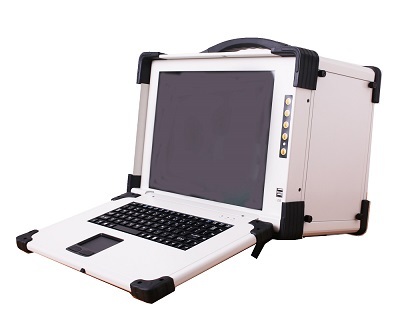 This strong portable computer specially for various test, measure portable to employ environment but design, chassis 8 built-in trough PXI/PXIe slabs, the high specialized bandwidth up to 1GB/s of every trough of the slab, in order to obtain the remarkable characteristic. It has 3 PXIe slots, a PXIe slots with regular function of the system, 4 that can accept PXI mix the slot with PXIe peripheral module one. This slab possesses all characteristics of the latest PXI norm, and the module of compatible PXI and PXIe. It is furnished with built-in 10 MHz reference clock, PXI used for PXI module and touch off the star of bus line and PXI to touch off, and built-in 100 MHz reference clock, SYNC 100 and PXI star-shaped differentiating used for PXIe module are touched off. The systematic tape of this Built-in: high-performance slab total ranges broadly from 4GB/s, satisfiable demands of different application software of high handling capacity. This strong portable computer built-in Intel® Core? I7 high-performance polykaryon processor, for various test, measure and employ designing, have 7 PXI/PXIe peripheral slots. The polykaryon processor contains a plurality of and calculates the engine, can carry out a plurality of to calculate the task at the same time, there are very great advantages under the environment of multitask running, each utility program can enter different cores of the processor respectively at the same time, thus improve systematic overall performance. Such characteristics as fully utilize PXI/PXIe to be stable and reliable, with good compatibility, structure stabilizing, data throughput is great, the characteristic is high, offer PXI/PXIe standard platform service, construct the optimal walkie integrative solution for numerous application. Through hardware and software of third parties such as integrated NI, Agilent, Aeroflex,etc., the engineer can put up various measurement, test and monitor system very conveniently, suitable for all kinds of portable application.